Catching up on the news – Shaun Micallef Online! 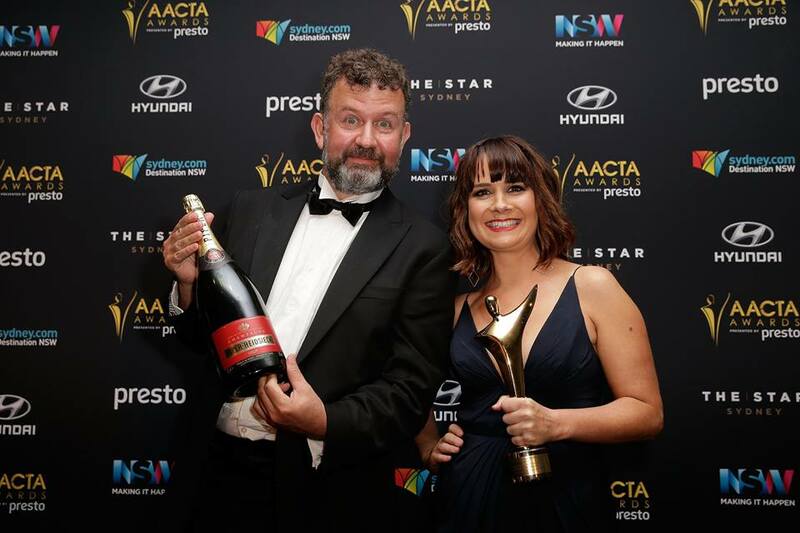 Late last year, Mad As Hell won an AACTA award for “Best Television Comedy Series” (which is slightly ironic, considering the ABC fund it via Light Entertainment department, which is why it only got one season last year!) Previously, Shaun won an AACTA for his performance, but this is the first for the show itself. Mad As Hell has also been nominated for the Most Outstanding Comedy award at the Australian TV awards, the Logies. This is an industry voted award, but it’s still tough competition, with Utopia also nominated. The awards ceremony is on May 8th. Comedian Lawrence Leung took his successful stage show about a young Asian-Australian turning against all of his parents expectations to become a travelling conman, and made it into a movie. In Sucker, Shaun plays Harry, a small cameo role of a bug-eyed second-hand record store proprietor. The movie had a small release, and got mixed reviews, but if it has your interest (even to see Shaun), it is now available on DVD, iTunes, and Netflix (if you’re in the US). Mad As Hell won a Logie! And is Back!